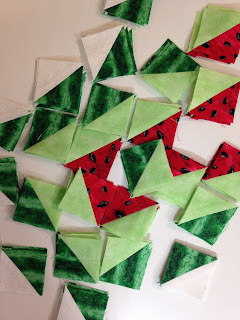 I'm working on those top secret projects again. 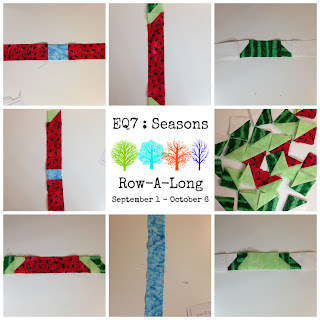 This time it's my row for the EQ7 Seasonal Row Along that's only 1 week away. Can you guess what it is? It should be pretty easy to figure it out. I can't wait to show you the whole block. It turned out so cute! Come back for the EQ7 Seasonal Row Along on September 1st. I'll have the big reveal then. Plus there are some awesome prizes you'll want to win too!